HFMD is an illness caused by a group of viruses, with the commonest being Coxsackievirus A16 and Enterovirus 71. While most cases of HFMD are mild and self-limiting, serious complications involving the nervous system, lungs and heart can occasionally occur, although quite rarely. Such complications are usually due to Enterovirus 71. The symptoms usually start 3 to 7 days after being infected. Symptoms usually last for 7 days. 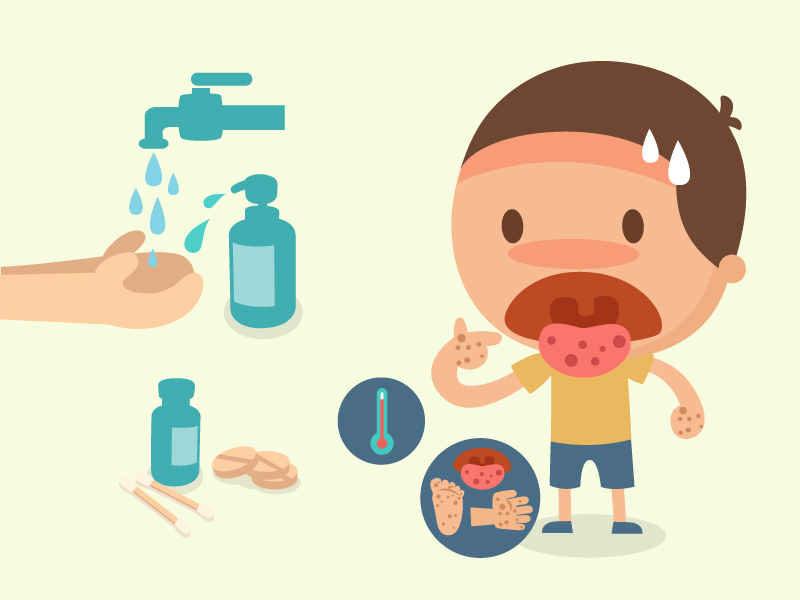 HFMD is usually mild and self-limiting. It is a viral disease that just has to run its course. As such, treatment with antibiotics is not effective and should not be prescribed. Although there is no specific treatment or vaccine, individual symptoms can be managed. Give your child medications as prescribed by your paediatrician or GP; these may include paracetamol to relieve fever and pain from the ulcers. How do I minimize the risk of HFMD transmission?